The South Dakota Stockgrowers Association is proud to accept applications for a $1,000 and a $500 scholarship, to be awarded on October 31 – November 1 , 2019. These scholarships are made possible by the generosity and gift of the Guy E. Ham Beef Industry Scholarship in memory of Guy Ham and his commitment to the future of the agriculture industry in South Dakota. •Have successfully completed at least one full year of post-high school academic study. • Are attending an institution of Higher Education including university, community colleges and technical schools, preparing for a career in Agriculture or Agri-Business. • Are current members, or children of current members, of the South Dakota Stockgrowers Association. Applicants may join SD Stockgrowers at the time of Application. 2. Copy of your full year grade and a course transcript of record. Applications must be postmarked or received via email by the close of business on August 1, 2019. The Scholarships will be awarded during SD Stockgrowers Association Annual Convention and Trade Show Banquet October 31 – November 1, 2019. The recipients of the scholarship will be expected to attend the banquet if possible. The scholarships will be paid by South Dakota Stockgrowers Association & The Guy E. Ham Scholarship Trust no later than December 31, 2019 directly to the educational institution being attended by the recipient. 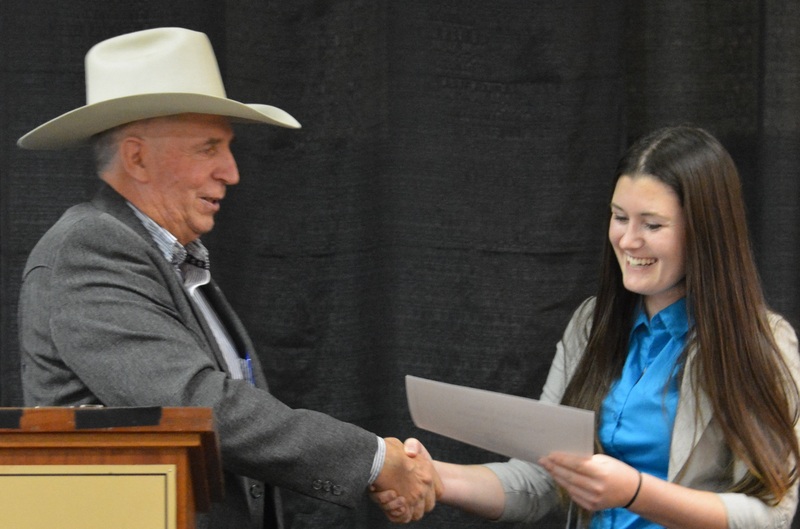 Donations to the Guy E. Ham Beef Industry Scholarship are gratefully accepted by the SD Stockgrowers Association for the purpose of continuing this scholarship program. Please contact James Halverson if you would like to make a contribution to this scholarship.